Fun Fact: Johann Berg Gudmundsson was relegated to League One with Charlton in 2016 only to sign with promoted side Burnley in the summer in the Premier League. 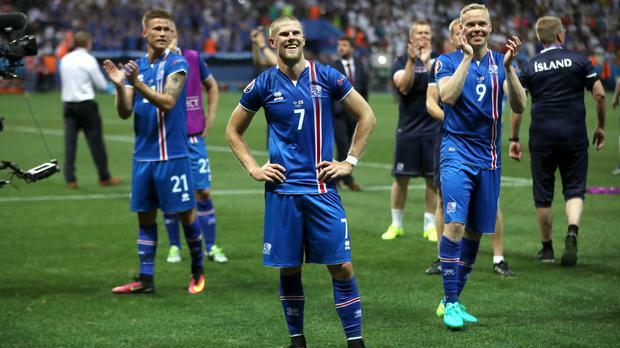 After the heroics the Iceland performed in 2016 by reaching the quarter finals, it wasn’t out of the question to qualify for the World Cup and that is what they did. They achieved this after finishing top of their qualifying group ahead of Croatia, Ukraine and Turkey. That is some achievement itself. There are no past qualifications into the World Cup from Iceland making Russia their first World Cup appearance. Furthermore, there are no international trophies to boast about for the small nation. Gudmundsson scored twice to help Iceland reach their first ever World Cup with goals against Turkey and Kosovo. In addition, the Burnley winger played nine out of a possible ten matches in Iceland’s qualifying group showing his importance to his nation. As a result of his importance, it is likely he will start for Iceland in Russia therefore he will get his chance to create an impact. The Icelandic winger doesn’t rely on devastating pace or silky dribbling but pure technical ability reflected in his crossing, Gudmundsson would rather deliver a fantastic ball into the penalty box for, at Burnley, a striker such as Chris Wood to latch on to. This could be replicated in the national team for Reading target man Jon Dadi Bodvarsson. Another strength worth noting, is his ability to put free kicks in dangerous areas, this would be beneficial for Iceland in the World Cup due to their aerial presence throughout the squad. Despite these strengths, a weakness in the 27 year old’s game is his general passing, last season for Burnley he averaged a pass completion rate of only 73%. Misplaced passes could be costly for Iceland in the World Cup, especially against Argentina and Croatia. As a result of all of these, Gudmundsson has the capacity to play a big part in Iceland’s World Cup campaign, like he did in qualifying so therefore I will give him an 8/10 in potential influence in Russia. As mentioned two paragraphs ago, Johann Berg Gudmundsson’s set piece delivery is a thing of beauty. It provides Iceland with vital goal scoring opportunities and attacking threat from defenders. Another point is that his crossing will cause havoc for defenders during the tournament. The Burnley winger also isn’t scared of a shot from distance adding to his unpredictability on the right hand side of midfield. Iceland’s exciting winger, currently at Burnley. As highlighted in his Football Manager attributes, Gudmundsson is a fantastic crosser of the ball with his crossing stat being 17 out of a possible 20. Furthermore, 27 year old isn’t scared of putting in his graft for the team with 15 work rate and 15 stamina, this is a rare asset on wingers as they would rather stay forward than put in a defensive shift. His only real weaknesses is his strength which is a mere 9 and his passing which is only 11. On the contrary, his versatility and ability to play well in a number of roles is a fantastic asset for club and country.